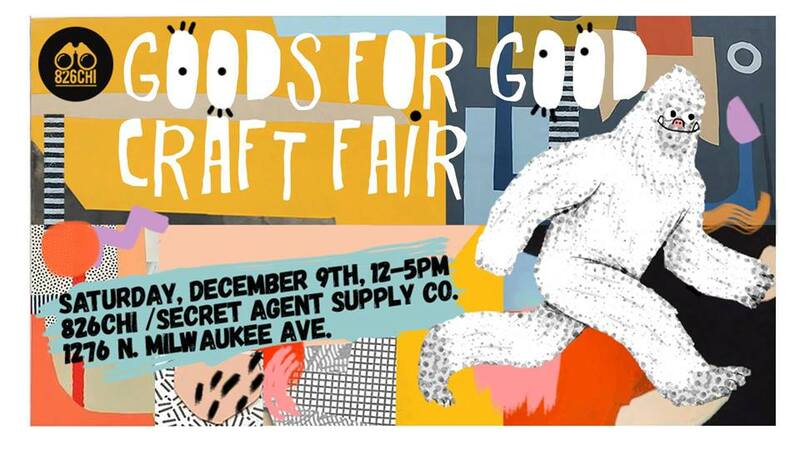 Find gifts for all of those on your good list at the inaugural 826CHI Goods for Good Craft Fair, where your shopping supports 826CHI's free writing programs! Peruse cards, soaps, scarves, enamel pins + more from some of our favorite Chicago vendors over complimentary cider + live holiday music by Patrick Budde! & from 2-4pm, you can get your nails done by our in-house manicurist,Jane! WHEN // Saturday, December 9th from 12-5pm! WHERE // Wicker Park Secret Agent Supply Co./826CHI at 1276 N. Milwaukee Avenue! WHY // Give the gift of free writing programs while also taking home the flyest swag on the block! Support local artists! Stave off the cold!